Zinc, an important trace mineral, is present in all bodily tissues and is second only to iron in its concentration throughout the body. Perhaps because zinc is necessary for optimal immune support, it is often recognized as an effective nutrient in cold prevention and in limiting the duration of colds when you do have one. 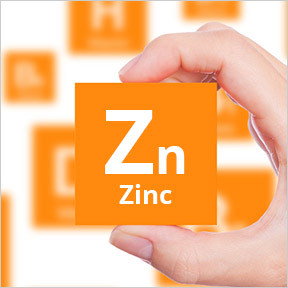 While zinc does play an important role in immune response, it has other vital roles as well. Numerous aspects of cellular metabolism are dependent on zinc for important roles in neurological function and reproduction, as well as protein synthesis, wound healing, DNA synthesis and cell division. Zinc supports normal growth and development during pregnancy, childhood, and adolescence and is required for a proper sense of taste and smell. Over 300 enzymes vitally important to the regulation of the chemistry of cells and organisms depend upon zinc sufficiency to perform key functions and maintain health and vitality. As the body does not store zinc, adequate daily intake from diet and supplementation aids in maintaining homeostasis. Naturally found in a wide variety of plant foods and animal proteins, bioavailability, which plays a major role in zinc absorption, varies and is dependent upon diet composition. Generally, sufficient amounts of zinc may be absorbed from animal proteins, while zinc bioavailability from plant foods tends to be very low. In plant foods with a high zinc content, such as whole grains and green leafy vegetables, zinc is bound to phytic acid, which is resistant to digestion, reducing the bioavailability of the food’s minerals. In addition to phytates, the presence of fiber and calcium in zinc-rich foods also hinder absorption. Those who follow a plant-based diet, athletes and diabetics are most at risk of deficiency, as well as those with chronic digestive issues, women taking birth control pills or undergoing hormone replacement therapy, and those with a tendency towards high caffeine or alcohol intake. Zinc’s benefits include its ability to act as an antioxidant and an anti-inflammatory agent. Along with its role in cell growth and division, zinc aids muscle growth and repair and helps maintain the strength of the muscular and skeletal systems. In protein synthesis, zinc is required for utilization of amino acids and is involved in energy production through its role in carbohydrate metabolism. Zinc has been shown to play important roles in fertility, supporting reproductive hormones and proper ovulation in women and modulating serum testosterone levels in men. Zinc benefits cardiovascular health by supporting healthy circulation and blood pressure, as well as lowering inflammation and oxidative stress. 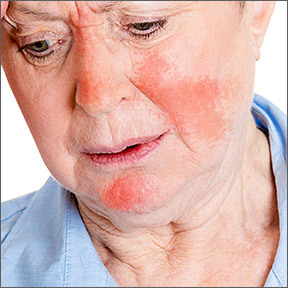 When zinc intake is insufficient, fatigue, poor concentration, impaired immunity, hair loss, and poor wound healing, as well as changes in appetite, weight gain or loss and an altered sense of taste and smell may result. 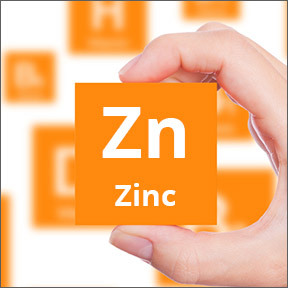 Maintenance of adequate levels of zinc is a balancing act, as zinc interacts with other micronutrients. Just as sodium and potassium, as well as calcium and magnesium, intake should be in proper balance, zinc should be balanced with iron and copper. High dose zinc intakes can impair copper absorption and similarly high dose iron supplementation can impair absorption of zinc. Currently, the USDA dietary reference daily intake recommendations are as follows: 9 mg daily for females aged 14-18, 8 mg for females aged 19 and older and 11 mg for males aged 14 and older. Women who may be pregnant or lactating should seek a daily intake of 11-13 mg daily. Zinc 15 by Pure Encapsulations – Each vegetable capsule provides 15 mg of highly absorbable zinc picolinate in support of immune health, proper metabolism and healthy digestion. Gluten and soy free, Non-GMO vegetarian formulation. Reacted Zinc by Ortho Molecular – This product provides fully bioavailable zinc as TRACCS® glycinate chelate for optimal utilization. Reacted Zinc provides support for a healthy immune system, energy metabolism and bone mineralization. Gluten and yeast free formulation. Zinc Supreme™ by Designs for Health – This unique, synergistic formula provides two forms of highly bioavailable zinc along with all other nutrients needed for optimal zinc metabolism. Ingredients include TRACCS®, B vitamins and amino acids. Gluten, soy and dairy free, Non-GMO vegetarian formulation. Zinc Lozenges 10 mg by Douglas Laboratories – These easy-to-take zinc lozenges supply bioavailable zinc glycinate sweetened with sorbitol and flavored with natural orange extracts in support of immune function, reproductive health and healthy skin. Soy free vegetarian formulation.